Looking at the current populations of wolves and lynxes in Germany, it is a clear sign that there is room for such wildlife. Considering the distances that bears can travel, it will be very likely that bears will return to Germany as well. The German Federal Agency for Nature Conservation (Bundesamt für Naturschutz) believes that it will be only a matter of time before the bear returns to Germany. Especially when looking at the current populations in northern Italy and Slovenia. The chances are high that individuals migrate to German soil. In an interview with the Berlin newspaper ‘Der Tageszeitung’, the President of the Agency shares the expectations on the bear’s return. In Europe, but also in North America, there are enough examples available that show how humans can coexist with bears. In some places, this coexistence has always been present. Meanwhile, in other places people exterminated the bear, but it returned again. The return of the bear does not always go without conflict situations. In countries such as Romania, the conflict numbers are high because of logging and poor waste management practices. As a result, Romanian government put a trophy hunting regulation in place, to increase acceptance for the bear. Until now, this approach was not effective and conflict situations continued to occur. In Slovakia, special bear-proof garbage containers are installed to minimise the chances of hungry bears feeding on human food waste. The Federal Agency agrees that it is very important to educate the local people on how to deal with bears. Even though an unpleasant encounter with such a wild animal is very unlikely. They stress that it is very important to implement proper measures to protect livestock, which is also necessary because of the wolf, golden jackal and (stray) dogs. The Agency wants to make sure that shepherds and farmers receive governmental financial support to protect their livestock from attacks. Also risk on human damage has to be taken into consideration, but this is relative to the number of people that get injured by wild boars or pets. 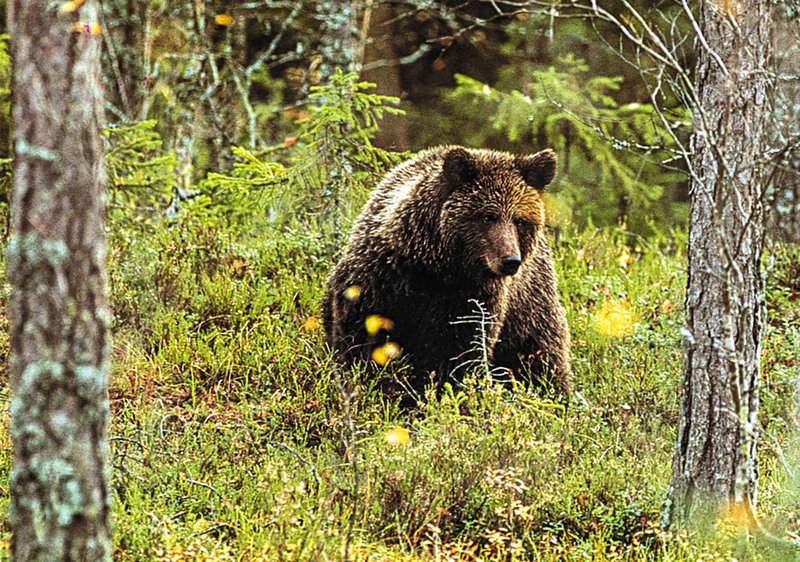 In 2006 a young brown bear wandered from northern Italy to Germany. The bear, named Bruno, was the first known bear on German territory since people hunted it to local extinction 171 years earlier. Unfortunately, Bruno liked to eat human food and did not feel uncomfortable around people. Therefore authorities classified him as a ‘problem bear’ and ordered the kill shortly afterwards. Learning from this encounter with the unfortunate ending for the bear, Germany should prepare better for the next bears that wander into German territory. Fortunately, there are more and more initiatives to support local livestock owners in protecting their animals properly. Just recently, new data confirmed that these measures are effective in lowering damages.